You are currently browsing the category archive for the ‘Backpacking’ category. I like to camp. I like to hike. I like to fly fish and hunt. Put those together and it was only a matter of time before I would be investing (sinking some serious coin) into some backpacking gear. Since recently getting married, I convinced my beautiful and easygoing wife to join me in the investment and we soon found ourself perusing the maze of gear at a few different outdoors stores. The first thing that really smacks you across the face is the simple glance at the price tag. Quality (and I use that term loosely) gear is less than affordable and the price can quickly spiral out of control. We decided to start with the basics but to also by quality gear that would stand up to years of abuse. Backpacks and sleeping bags were the big ticket items that put a dent in the budget, but in the end we were both pleased with our purchases. 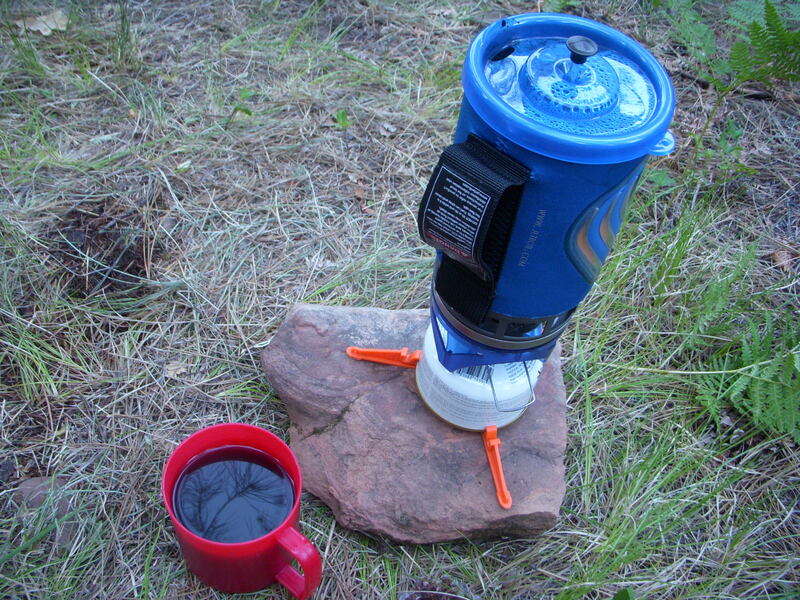 Two other important items also made the cut: water purification system and a jet boil with a French press attachment. The jet boil is not the smallest or the lightest product, but I will sacrifice the extra weight for a quality cup of joe in the morning or mid-morning or lunch or whenever seems appropriate. We already had an extremely nice tent that is sufficient for our current trips, so that relieved another expense that really would have put us in the weeds. 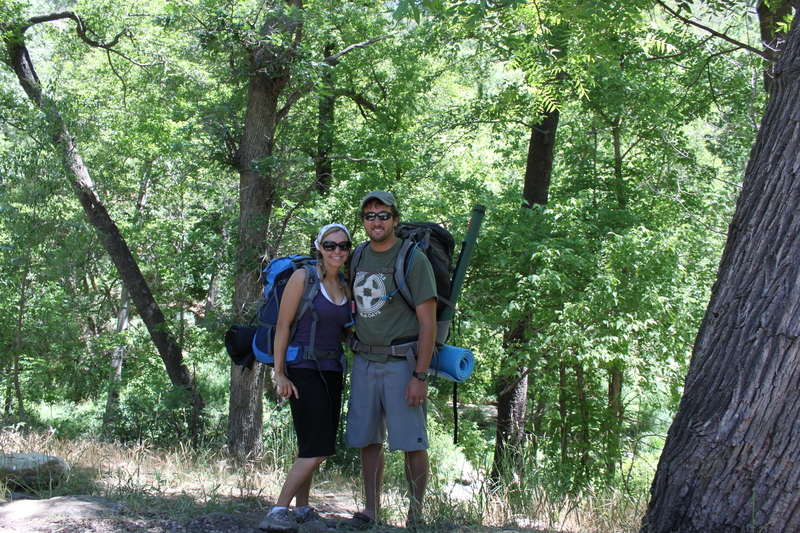 Michelle and I are avid car campers, having made our way across the United States last summer, but this was our first real backpacking expedition. We wanted to keep things simple, short, and relatively close to home. 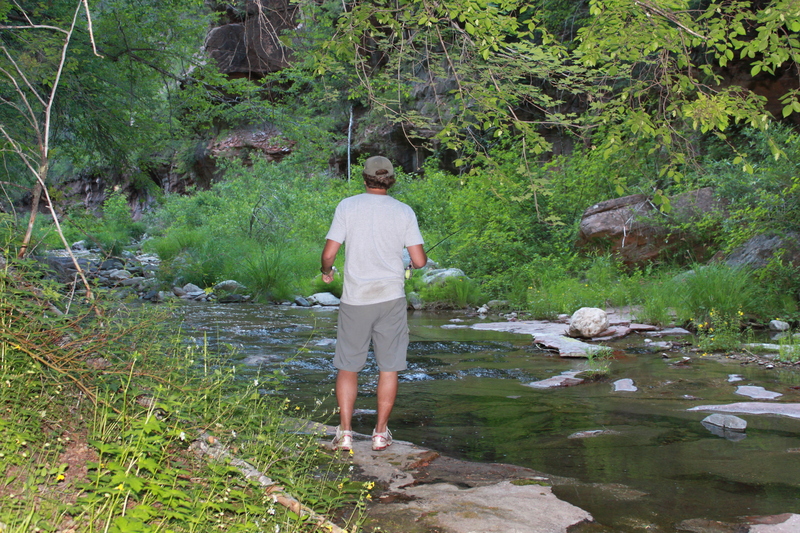 We opted to visit the tall pines and cool water that are afforded to the hiker at the West Fork of Oak Creek. 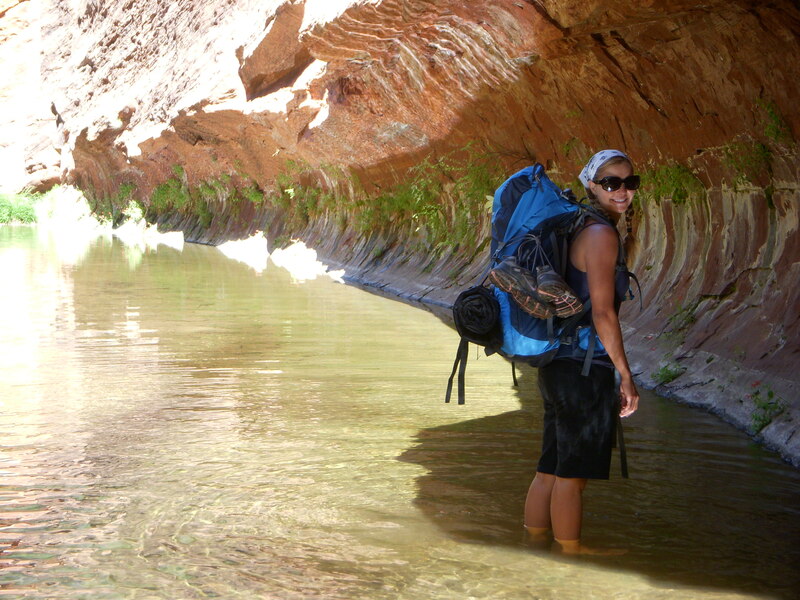 In order to camp on this trip, the hiker is forced to go a minimum of six miles to get out of Red Rock and into the Wilderness area. The first three miles is relatively easy with the last three being a little more demanding with several areas to wade and bushwhack. With a little bit of a late start, we arrived at Call of the Canyon parking lot and started on our journey. 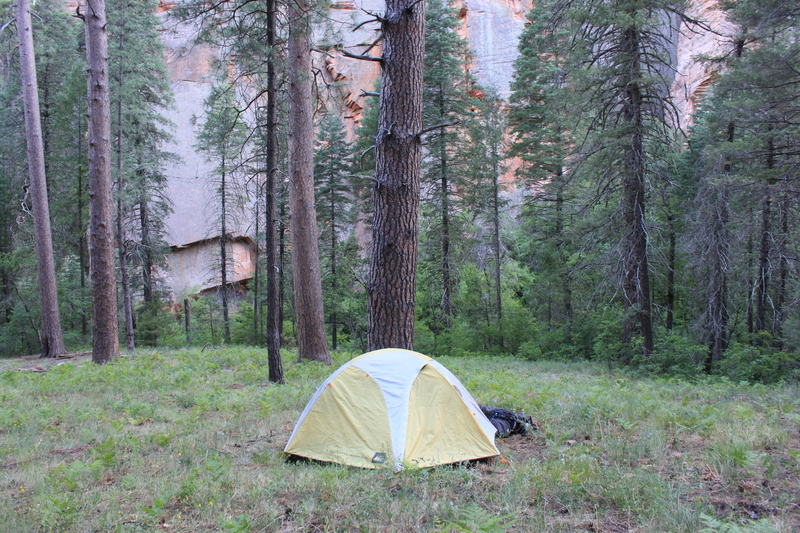 We made our six miles in relatively good time, set up camp in a beautiful location, and made ourselves some dinner. The light still hung in the sky so I broke out my fly rod and fished the couple hundred yards below camp with nothing to show. We played a few hands of cards and then crawled exhausted into our sleeping bags. I arose early and as is my lady’s custom, she slept late. I spent an hour or so, just sitting and being still, enjoying a marvelous cup of coffee in the peace and quiet that only God’s creation can share. The world seems to truly come alive when one becomes quiet and just looks and listens to all the creatures, rocks, and trees around them. As I sat, the sun crested the hill and made it’s way higher into the sky chasing the shadows out of the canyon. After breakfast, we broke camp and made our way back to the car. The pack out was much faster than the pack in with dreams of Subway dancing in our heads and quickening or pace. We arrived at the car dirty, tired, and hungry but very much alive and happy. Our experience overall was positive. Everyone had a good time and we learned much about what is necessary and what is not. We look forward to a few more trips this summer with our goal at some point to hike into the Grand Canyon and then back out. It is a pretty tall order but one that could be done if we put our mind to it.